This Toyota Sequoia interior cargo net will give you instant storage space for all those favorite things. This interior cargo net can be used as a carry all for that needed extra Toyota Sequoia storage capacity. Specifically designed for your Toyota Sequoia this interior cargo net is a great choice. 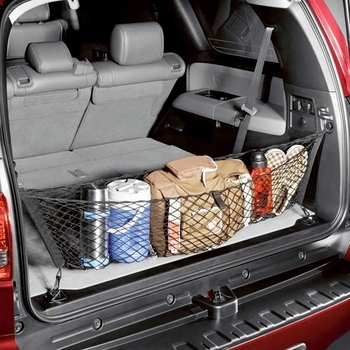 You can keep your groceries in one place with the addition of this Toyota Sequoia interior cargo net.